Launch from the Baikonur Cosmodrome; landing 140 km east of Dzheskasgan. Following a two day solo flight Soyuz TM-16 docked with the Mir space station on January 26, 1993. It was the first Soyuz without a probe and drogue docking system since 1976. It carried an APAS-89 androgynous docking unit different from the APAS-75 unit used for ASTP in 1975, yet similar in general principles. Soyuz TM-16 used it to dock with an androgynous docking port on the Kristall module. This was a test of the docking system in preparation for dockings by space shuttles with Mir. Main goal of this mission was the crew exchange. 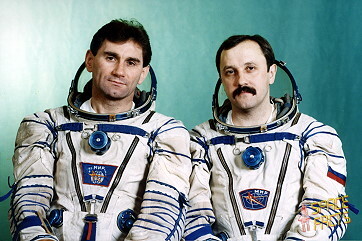 Gennadi Manakov and Aleksandr Poleshchuk became the 13th Mir resident crew. The cosmonauts worked on experiments in biology, astronomy, materials science and 140 experiments in earth science. On January 28, 1993 the cosmonauts carried out Rezonans tests on the Mir complex, which at this time weighed more than 90 tons (it's heaviest ever) and included seven separately launched spacecraft. 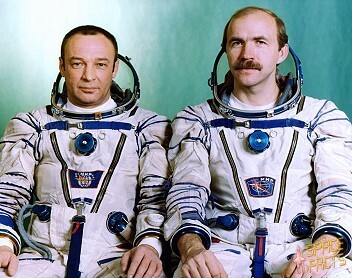 The Mir-12 crew of Sergei Avdeyev and Anatoli Soloviyov returned to Earth on February 01, 1993. The Soyuz TM-15 descent module lowered to Earth beneath low clouds, touched down, and rolled partway down a hillock. It came to rest 150 m from a frozen marsh. On February 04, 1993 Progress M-15 undocked from Mir and backed to a distance of 230 m. The spacecraft fired thrusters to cause it to rotate about its long axis, after which it successfully deployed a 20-m, 40-kg foil reflector called Znamya ("banner") from its orbital module. It was a test of a future solar reflector/solar sail designed to illuminate and warm regions on the Earth's surface not in direct sunlight, such as the Polar Regions in winter. 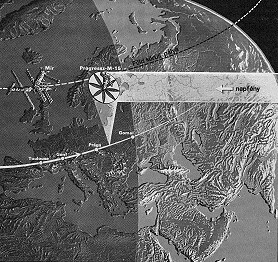 The experiment lasted only 6 minutes, during which time Progress M-15 and the nearby Mir complex passed over Europe along a path from Lyon, in southern France, through Prague in the Czech Republic, to Gomel in eastern Belarus. Znamya was sighted in the predawn sky in many places along the path, including southern France, eastern Poland, and Belarus. 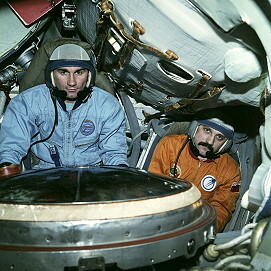 Gennadi Manakov and Aleksandr Poleshchuk observed the test from Mir. Znamya was then cast off. The collapsed, tumbling reflector remained visible from the surface for 24 hours. It was seen as a glittering object over much of Canada. After discarding Znamya, Progress M-15 was controlled by the cosmonauts on Mir at a distance of 200 m. The test lasted 12 minutes. 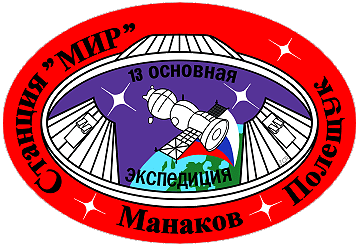 Progress M-15 was deorbited by command from the TsUP on February 07, 1993. Progress M-16 delivered replacement parts when it arrived on February 23, 1993. On March 02, 1993 Gennadi Manakov and Aleksandr Poleshchuk replaced Mir's air conditioning unit. They also replaced components in the part of the communication system linking Mir to the Kosmos 2054 Altair/SR satellite. 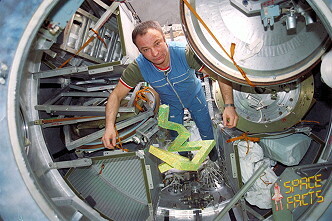 Over the next week the cosmonauts installed new gyrodynes in Kvant2 and replaced parts in the computers. 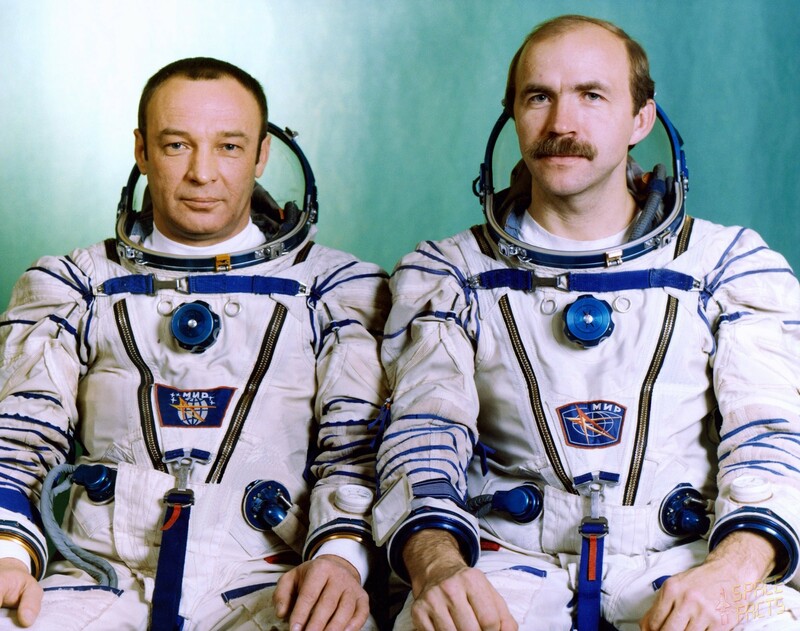 On March 19, 1993 Aleksandr Poleshchuk and Gennadi Manakov connected the electrical systems of Kvant2 and Kristall. Soon after, they tested the new gyrodynes in Kvant2 by moving the complex. Progress M-16 undocked early on March 26, 1993 and backed off to a distance of 70 m under control of the cosmonauts inside Mir. They then commanded Progress M-16 to approach and dock. The operation was completed within 20 min of initial undocking. Final undocking on March 27, 1993 was initiated and controlled in its initial stages by Aleksandr Poleshchuk and Gennadi Manakov. The TsUP took control for the final stages of the cargo ship's flight and its destructive re-entry. Progress M-17 arrived on April 02, 1993 with new equipment. 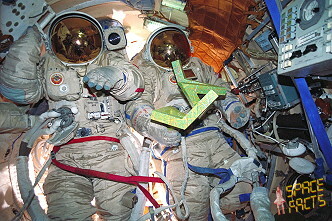 Gennadi Manakov and Aleksandr Poleshchuk performed the first EVA on April 19, 1993 (5h 25m). They installed solar array electric drives on the sides of Kvant. 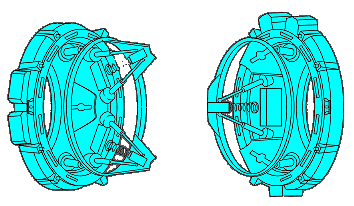 These would later receive the collapsible solar arrays from Kristall. Aleksandr Poleshchuk climbed down the length of Kvant2 to the base of the Strela telescoping boom attached to the base block. Gennadi Manakov then fixed himself to the end of the boom, at which point Aleksandr Poleshchuk swung the boom to move him to the installation site on Kvant. A container holding one of the electric drives was transferred using the boom. With difficulty the cosmonauts attached the drive to one of the frameworks which had been assembled on opposite sides of Kvant in 1991 by Vladimir Titov and Musa Manarov. Aleksandr Poleshchuk noticed that one of two control handles for the Strela boom had come off and floated away. A new handle would have to be sent up from Earth before work could continue. While they waited for delivery of a replacement handle the second EVA, planned for April 23, 1993, was cancelled. 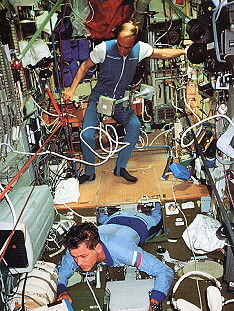 The cosmonauts carried out routine maintenance on the water regeneration, electricity supply, and onboard computer systems. They also conducted Rezonans tests. 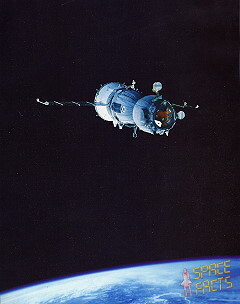 Progress M-18's docking on May 24, 1993 marked the first time a Soviet station was attended by two Progress craft at the same time. In addition to the replacement handle for the telescoping boom, Progress M-18 delivered replacement water pumps for the thermal control system and computer parts. 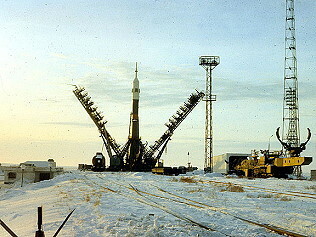 Progress M-18's cargo was essential for the execution of the planning for 1993 and 1994. In the first place it delivered the replacement of the lost key (or: handle) for the operations with the crane Strela. During the next planned spacewalks the crew needed that Strela for the transfer of the solar panels from Kristall to Kvant1. 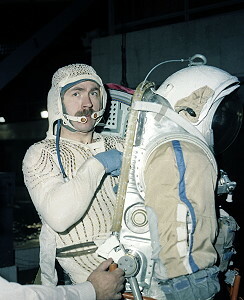 Progress M-18 also brought new equipment and spare parts for the replacement or repairs of worn-out systems, but also equipment and experiments to be used during the French expedition 'Altair' (Soyuz TM-17) in July 1993. Another EVA by Gennadi Manakov and Aleksandr Poleshchuk occurred on June 18, 1993 (4h 33m). Progress M-18 had delivered a replacement Strela handle on May 24, 1993. The second EVA was scheduled to last 5 hours. The cosmonauts installed the new Strela handle, then used the boom to move the second solar drive container to the worksite on Kvant1. In contrast to their April 19, 1993 EVA, Gennadi Manakov and Aleksandr Poleshchuk installed the second drive with few problems. In fact, the cosmonauts completed the installation ahead of schedule, so they were able to spend several minutes televising images of Mir's exterior to engineers in the TsUP. 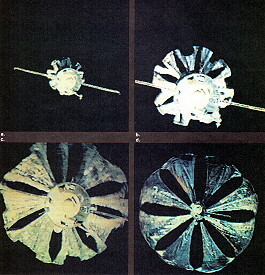 In a unique maneuver on July 03, 1993 Progress M-18 undocked from Mir, clearing the port for the docking only minutes later of Soyuz TM-17 with the Mir-14 crew of Vasili Tsibliyev and Aleksandr Serebrov and French Research Cosmonaut Jean-Pierre Haigneré. On July 01, 1993 at 14:33 UTC the transport ship Soyuz TM-17 was launched for a flight of two days to the Mir Space station. On July 22, 1993 Soyuz TM-16 landed safely in near the city Dzhezkazgan in Kazakhstan. The ballistic section of Professor Ivanov again deserves admiration for their excellent work: the landing took place 23 seconds later than calculated. During this flight the crews of Mir and Soyuz TM-16 as well had to do somewhat extra in this field for at the moment of undocking the objects were out of range of NIP (measurement points on earth). So they had to take care for the actual attitudes during undocking and thereafter. Data for this operation they got during radio traffic with TsUP. Just after the separation of the Life compartment (BO) and the Motor block from the Landing module (SA) the SA entered the dense layers of the atmosphere at 06:18:17 UTC surrounded by the fire of the plasma. At a distance of approximately 400 km the crew on board Mir was able to observe this through porthole no. 9. At 06:26:55 UTC the main parachute opened and the landing took place at 06:41:00 UTC. 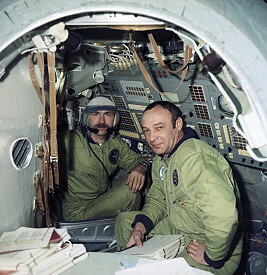 So the crew of the Mir-13, Gennadi Manakov and Aleksandr Poleshchuk, and the French 'spacionaute' Jean-Pierre Haigneré accomplished their flights.